Along with invisible chronic illness come extra things that have to be done, such as keeping up with medical records and paperwork, taking trips to the doctor, going to the pharmacy, taking medications, corresponding with doctors, researching health information, and learning a new way to live. For many with chronic illness, as needs increase, energy levels and strength decrease. There is more to do, but less energy with which to do it. 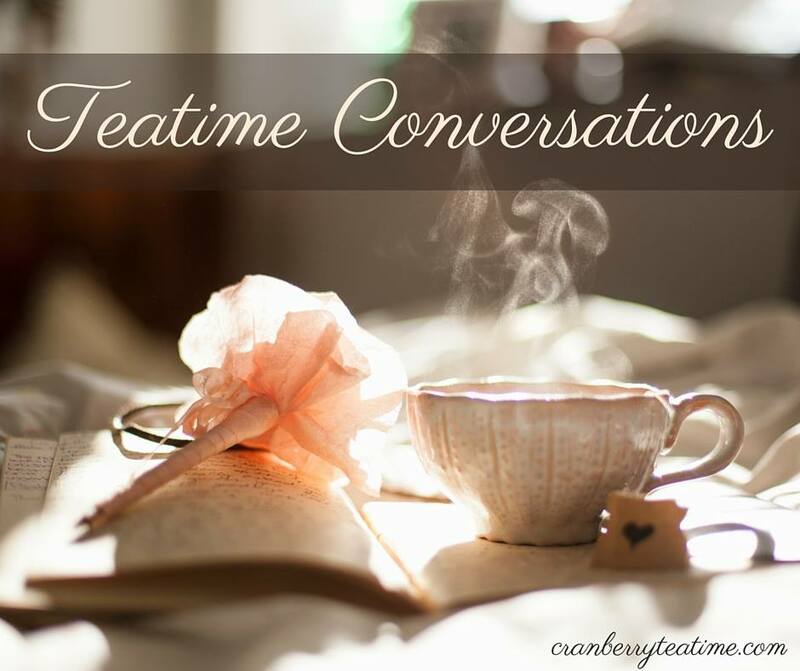 So we search for little tips and tricks that can make life just a bit easier. One simple thing that has made my life easier is pill boxes. I used to not want pill boxes because it seemed like it was something just for really sick people to use. I was young and healthy! Or at least, I wanted to be. Giving up my pride and using pill boxes has been such a help. Opening medicine and vitamin bottles all day long is tiring and time consuming. I have found that it is much easier to make “pill packs” every week. Every Sunday afternoon I sit on my bed and fill my pill boxes for the next week. I have two Sterilite storage boxes under my bed that are filled with medications and vitamins. I get those, along with my week-long pill boxes, and get to work. I have pill boxes for morning, mealtimes, and bedtime. I fill these with medications, vitamins, and supplements. I also have three small pill boxes that I keep in my purse for when I am out. 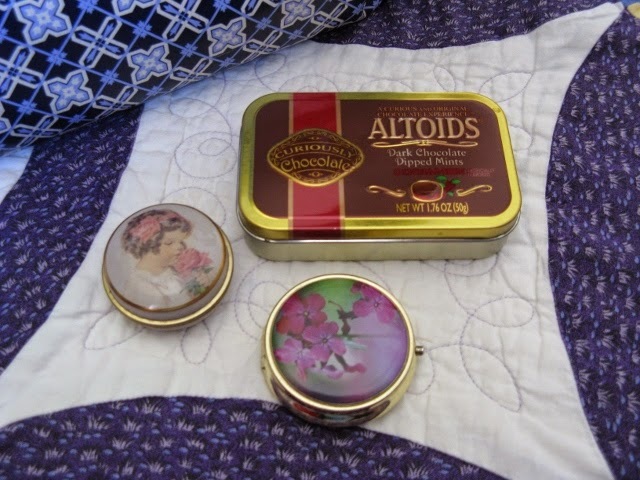 One of them is actually an old Altoids tin, but it works well for holding large mealtime vitamins and supplements. 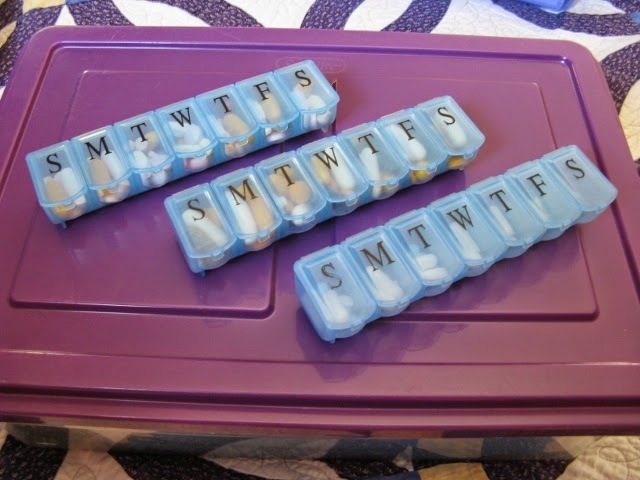 Using pill boxes helps to save some time and energy, but it also helps to jog my memory. Sometimes I can't remember if I have taken my medication and vitamins or not. I don't want to double up on a dose, but neither do I want to go without. If I have put all of my medications and vitamins into pill boxes, then I can easily look at that day's pill box and see if I have already taken them. Pill boxes are just a small, simple thing, but they have made my life easier. What is just one thing that makes your life easier? I would like to hear your tips! Read more "Just One" blog posts on the Invisible Illness Week website! Along the same lines, I discovered the metal keychain pill containers. I think they're for nitroglycerin, but they work great for any pills. I'm one of the few girls who doesn't always carry a purse, so if I have my keys, I have meds! That's a good idea! I didn't even know that there was such a thing as keychain pill containers. I agree that travelling in a car is so much easier than a bus!